Happy Friday! Hope you all had a good week and are ready for the freakin' weekend. Get ready, because today, I'm gonna blow yo mind! I've found a few articles across the web this week that I've had earmarked for a post like today's, so buckle your seat belt and lets go. Oh gosh, I've really set the bar high (insert panic attack that I don't deliver on my promises-here). 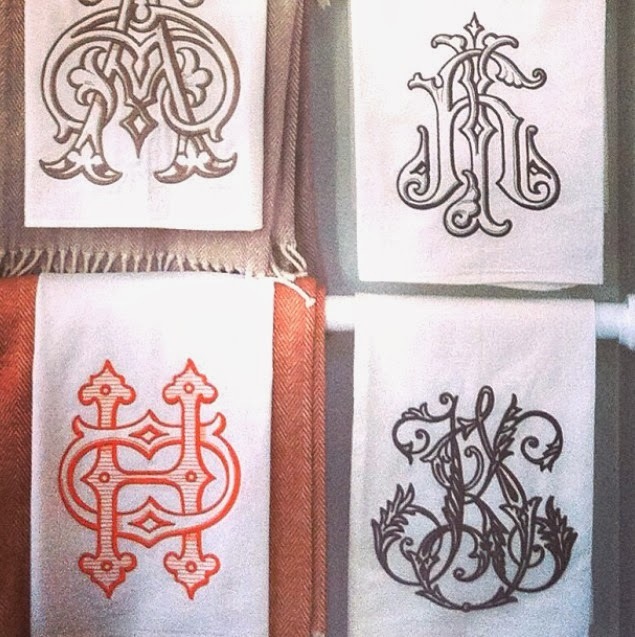 You guys, I stumbled upon the holy grail of all holy grails when it comes to monogrammed linens. We aren't talking you typical towel monogrammed by a friend from her embroidery machine. No no no.We're talking the real deal, over the top, most insanely gorgeous monogram options you'll ever find. There's a store in Savannah, GA called Number Four Eleven whose website and instagram feed has me wishing I could go buy cashmere throws and turkish towels in bulk and tell their staff to throw caution to the wind and just surprise me. You know I'm kind of a control freak, so that should say a lot! 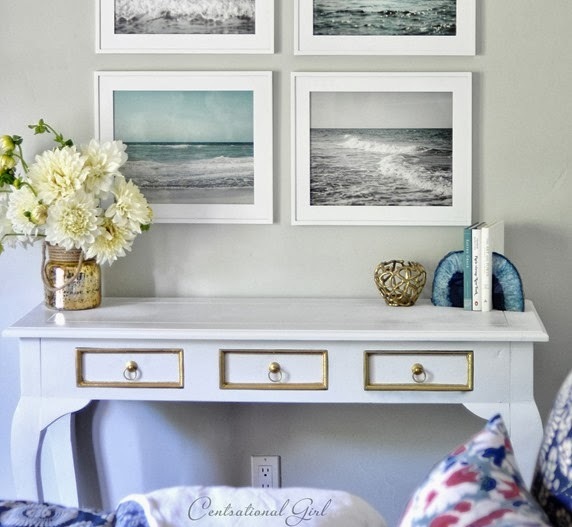 THE most perfect article for anyone out there looking to re-paint an old piece of furniture. Anything you could want to know about painting furniture (she LOVES spray paint just like me) can all be found here. When I stumbled upon this article, my heart did a little pitter patter. Oh yeh...I went there. 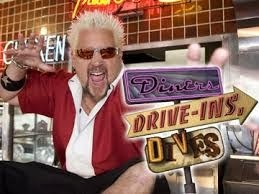 Raise your hand if you love shows about restaurants and their signature dishes? I could literally watch those all day everyday if given the choice. Well, wouldn't it be amazing to actually have a website where you could plug in a location and get a list of all the restaurants in that area that have been found? Well my friend, there is. I'll be traveling for work soon, so I started searching for local restaurants in those areas and came upon this site. OH MY GOSH this is seriously the jam. Click here and give it a whirl! 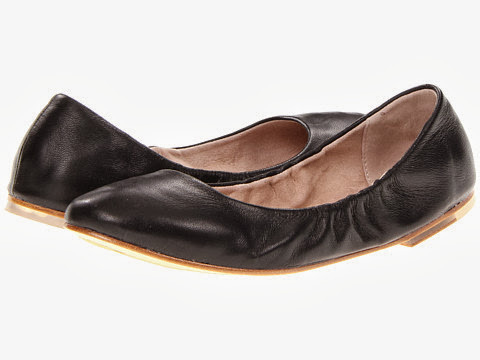 According to one of my favorite blogs, C.Style Blog, these Bloch flats are the most comfortable flats around. For all you dancers out there, yes that is the same brand that made your ballet slipper as well. I'm willing to bet that they've got it figured out how to make a ballet flat that doesn't slip off your heel or put blisters the size of marbles on your pinky toes. DEFINITELY going to get these for a few of those trade shows I'll be heading off to all day. A girl needs a seriously comfortable pair of shoes when she's standing up for 12 hours every day, 3 days in a row. #PREACH. And last, but certainly not least, Pinterest has stepped its game up even more. Now, you can get price drop alerts for items you've pinned. Read more about that here. Now, was I right when I said I was gonna wow you? Yeh, you know these are some fun finds!